Print less and save money while eliminating the hassle of ordering supplies, and maintaining equipment. Print costs are an overlooked expense at many organizations. Even those who practice due diligence in researching the lowest-cost printers and running a cost-benefit analysis rarely take into account the real, hidden costs of ongoing use. The average company spends 1 to 3 percent of its revenue on printing and its related costs. After seeing the harsh truth of uncontrolled print costs, more and more of today’s leaders seek a Managed Print Services (MPS) agreement to reduce print costs and see immediate savings. The term Managed Print Services has been used for years, but these contracts have typically benefited manufacturers and dealers while locking customers into equipment choices and lease terms that don’t align with their needs. Most manufacturer agreements substantially inhibit your options, control, and efficiency. Their profits are dependent upon selling you as much of their equipment as possible, tying you into long leases that extend well beyond the planned obsolescence of the machine. Ultimately, it’s in their best interest to increase your print output, not decrease it. Discover how you can reduce cost, achieve green initiatives and improve productivity with ARC Managed Print Service program. Get all of your equipment, service, and supplies from a single vendor. One vendor = One invoice = One happy accounting team. Spending on printing equipment, services, and supplies quickly adds up when different people handle procurement for each department. Without an overall plan for how and when these services are deployed, costs are difficult to track and lead to a glut of invoices that can quickly overwhelm your accounts payable department. A credible Managed Print Services plan is a simple, cost-effective approach that lets you take charge of out of control print fleets, saving your firm up to 30% of your fixed printing-related costs and consolidating them into one invoice. If you have four or fewer employees for every printer, MPS can significantly improve that ratio. A higher employee-to-machine ratio means fewer printers and lower costs. Printers on every desk might appear to increase efficiency for your employees, but the truth is that most companies have a gratuitous printer-to-employee ratio that is causing their printing and energy costs to balloon unnecessarily. 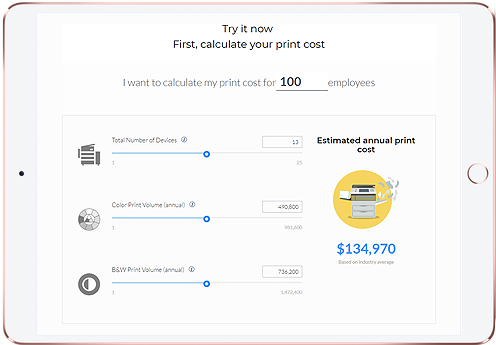 90% of organizations don’t track these expenditures and are shocked to learn that, on average, they’re spending $2,700 per employee every year for printing expenses alone. Managed Print Services put you back in control of your budget by auditing and evaluating your equipment and workflow, helping you to deploy the right equipment to the right places and to create simple, streamlined standards that you can implement enterprise-wide. Eliminate unnecessary costs and generate predictable monthly expenses with ARC’s MPS software, Abacus and unified, single-network printer fleets. You can’t budget for expenses that you don’t know exist. 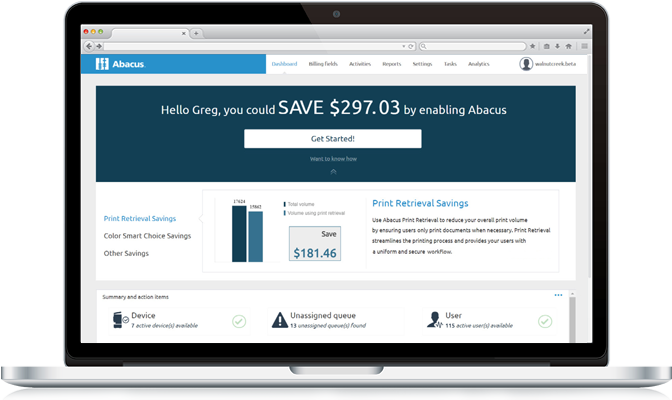 With Abacus, you’ll see all of your printing costs in one simple, easy to use report so you can find and eliminate the hidden and unnecessary expenses that hurt your bottom line. With ARC Managed Print Services, your operating expenses and capital expenditures scale as your needs change. Your printing costs don’t stop when you buy or lease a printer, and neither do your printing needs. Whether your business is growing or is prone to seasonal downturns, your printing needs will expand or contract. With a true MPS solution, your costs are directly related to your usage and will scale with your printing needs, unlike the fixed payment plans that manufacturers offer. With no direct inventory costs, your company will enjoy complete control over your print spend: during peak business periods you can deploy high volume machines to handle the document increase. When your print needs decrease due to a slow down for your business, your equipment can scale down, as well, right along with your invoice. ARC’s all-inclusive MPS services mean you don’t spend time administering invoices, ordering supplies, or making service requests. No matter your industry, you need more uptime, and so do your employees. With easy-to-use equipment, quick-to-respond support, and optimized printer fleets, you can expect to see significant savings in time and money almost immediately. Sharpened print infrastructure, process improvements, and equipment standardization lead to more efficient use of resources and employee productivity increases. Large firms can see up to 10% of their IT staff’s time released from the confines of their previous print-centric support requirements, letting them focus more of their time on core business needs. 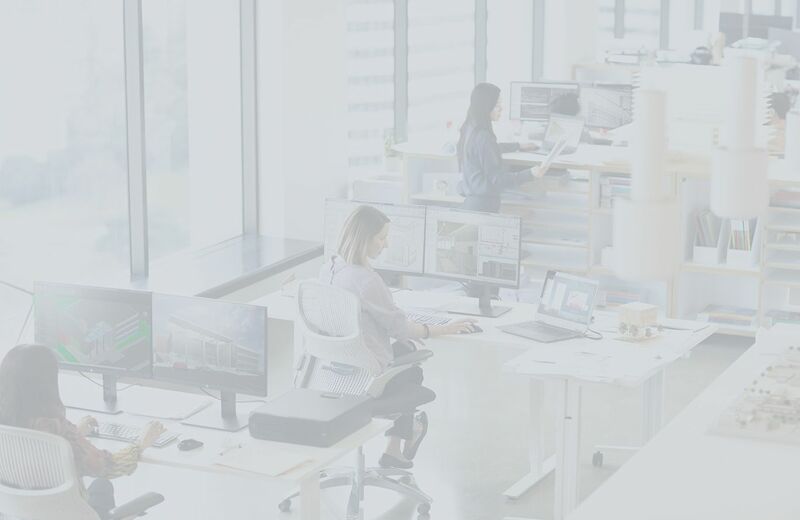 Optimized printer fleets, modern equipment, and new user behavior dramatically reduce energy costs, printing waste, and your environmental footprint. Workflow optimization saves more than time and money; it also saves energy and resources. Save on shipping and packaging costs and reduce your environmental footprint with ARC’s nationwide network, allowing you to print documents off-site at one of over 170 locations for local pickup or delivery. With right-sized printer allocation and streamlined processes, your firm’s energy consumption will also improve; the typical large organization can expect a 60% reduction in carbon emissions, on average. 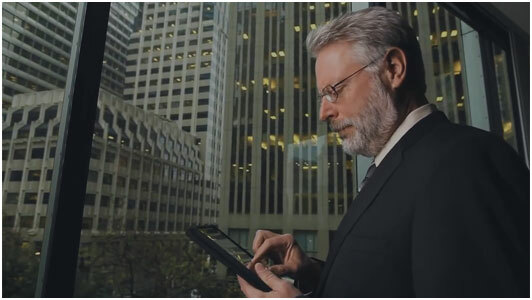 Discover Abacus, the document workflow and print management software behind Managed Print Services. ARC’s Managed Print Services are structured around our customers’ needs and don’t include the conflicts of interest that arise from contracts with dealers and producers. By remaining unattached to manufacturers, we can offer flexible contracts and focus on the best equipment and solutions for your needs. Our comprehensive evaluation of your existing equipment, processes, and usage provides the foundation for your new streamlined, cost-effective infrastructure. Utilizing our proprietary discovery and analysis software, we’ll identify disparities in processes and use across departments, evaluate your needs, and identify opportunities to eliminate or deploy machines more appropriately. Our experts can also identify process improvements relating to digitizing documents, off-site printing options, and batch processing potential to reduce costs and labor. With a right-sized printer fleet, streamlined processes, and cutting-edge printer activity tracking technology, firms experience a company-wide boost in efficiency. ARC’s experts identify avenues to simplify your processes while stretching your budget, such as adopting a production-focused approach to printing that outsources some of your print jobs, as opposed to a convenience-based approach that lacks clear parameters. Equipment standardization with expert training and implementation may also add value, leading to reductions in training downtime and supply costs while increasing the hours your IT team can spend on the projects that matter to your business. If technology isn’t saving you time and money, what’s the point? For many MPS providers, the goal is uninspired and unsurprising: to make them money. ARC’s MPS works for you, providing you with flexible contracts, scalable costs, professional expertise, and a singular goal: to save you money and make running your business easier. With a higher employee-to-printer ratio and equipment that is tailored uniquely to your business’ needs, employees spend less time doing the work of a printer and focus on revenue-generating projects. Meanwhile, reductions in energy consumption and printer supplies coupled with a predictable and scalable monthly expense give you greater access to more of your budget. 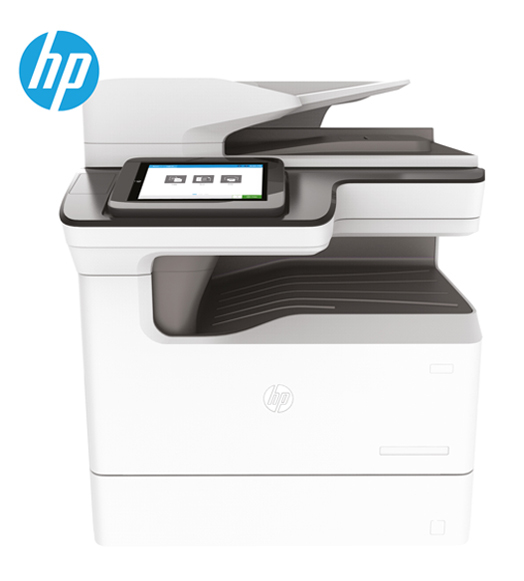 As the nation’s largest independent distributor of multi-function printers, ARC has partnered with HP to offer the most advanced printers available, benefiting your business in several ways. ARC’s reputation as an expert in handling documents and reducing costs for AEC professionals is just one of the many reasons that 7000 companies have trusted ARC to implement MPS solutions for their construction documents and business printing needs. ARC helps HOK consolidate costs and drive efficiency by taking control of their printing.